Apple has quietly revamped the iPod Shuffle - removing all its control in the process and making it half the size of the previous model. Well, sort of. The body of the player still has a power switch that also doubles up as the shuffe/sequential play slider. 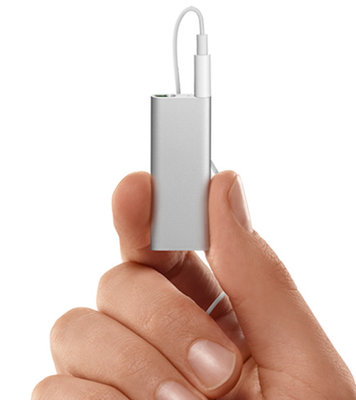 But the main controls are now built into a dongle on the earphone cable. 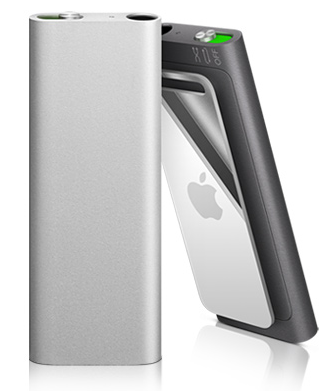 Like the first Shuffle, the 3G model's tall and thin, its metal shell curving at the sides like the current iPod Nano. Like the 2G Shuffle, the new model has an integrated clothing clip. The Shuffle will now tell you what it's playing. "With the press of a button, [Shuffle] tells you what song is playing and who's performing it," Apple said. 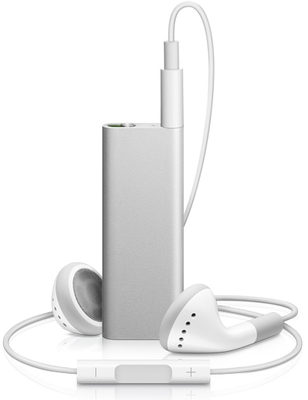 Available in dark or light grey, the new Shuffle has a 4GB storage capacity. It's priced at £59.